A Christmas carol is a song (often a hymn) whose lyrics are on the theme of Christmas, often wth a dance-like melody (often based on medieval chord patterns) and alternating verses and choruses. The tradition of carols is believed to date back to the thirteenth century, athough originally they were communal songs sung during celebrations like harvest-tide as well as Christmas. 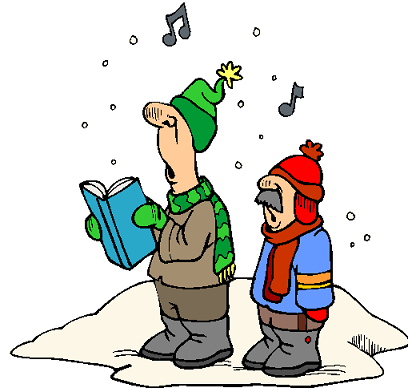 Today carols are often sung religious services, including special Carol services. In some countries, including Britain, there is a tradition of Christmas carolling, in which groups of Carol singers go from house to house singing carols, and are rewarded by the householder with mince pies, drinks and gifts of money. The money collected by the Carol singers is usually given to charity. "A Christmas Carol" is also the name of an 1843 book by Charles Dickens, which contains a ghost story and features the character, Scrooge. 3 eBooks With Beautiful Arrangements And Clear Video Demonstrations Of More Than 20 Songs At Three Levels, Based On A Method That Allows You To Play Your Favorite Christmas Piano Songs And Improve Your Coordination Even If You Can't Read Piano Notes.